Blackstrap Molasses is a byproduct of cane sugar manufacturing. After the sugar cane is crushed and the juice extracted, it is boiled to allow the sugar to crystallize. Some sugar is removed and the process repeated. The final molasses product is the syrup left over after the third boiling and sugar extraction. At this point it is a black heavy syrup which contains concentrated nutrients from the cane plant. It is a dark brown syrup, very thick and viscous, with a strong flavor. It is the darkest and most nutritive molasses. Sometimes used as a supplement by people who are anaemic because of it's high iron content. It is actually the waste by product of sugar cane and was once only considered fit for animal consumption. However, because sugar cane plants have deep roots, and are able to absorb high quantities of nutrient from the soil, the molasses is very rich in minerals and vitamins. Can be used in certain recipes and for basting chicken, but cannot be used as a general sweetener due to it's strong taste. Good for gingerbread. It is high in minerals and B vitamins. In particular it is a useful source of Magnesium, Iron, Calcium, Copper, Zinc and Potassium. A medical article published in 2003 suggested that the phenolic polysaccharides in molasses have a very beneficial effect on the colon and immune system. Molasses is also high in linoleic acid, a lipid that has been shown to have an anti-tumor effect. The article also quotes anecdotal evidence that cancer is rarer among sugar cane plantation workers who consume this substance regularly. Like sugar, it is harmful to teeth and calorie rich. It has a high glycemic index and is not suitable for diabetics. Some grades are sulfered, meaning sulfer dioxide is added as a preservative. In addition it can contain up to 20% free fructose, and this is in addition to the sucrose content. Therefore they should be counted as part of the refined sugar in the diet and taken in moderation. (As should fruit juices and honey). Although often sold in health food shops it is really a form of refined sugar, it does not exist in nature. It contains no fiber, is almost pure carbohydrate and is high glycemic. Moderation is the key word, a spoon or two per day substituting for other refined sugars. Cannot be considered a health food, but has benefit in small quantities. No actual limit for ADI (acceptable daily intake) is set for molasses. 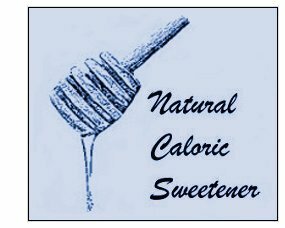 However, similar to ordinary sugar no more that 10% of calories equal to about 50g (about 12 teaspoons) per day. The sugar cane is crushed and the juice is extracted. It is boiled and the sucrose extracted. The brown substance left behind is called molasses. Blackstrap Molasses is the concentrated residue from repeated boiling and extraction. On the commodity market it is about twice the price of sugar. On Amazon it is about $12 for a 36 oz bottle which is just a little over a litre. As a sweetener its market share is tiny probably about 0.25% of the total market by unit of sweetness or 500 times less than sugar. It used to be used as a cattle feed. It is still sometimes called treacle in England. It has a strong flavor, a bit like licorice. It is desirable in certain dishes but not generally suitable as a sweetener. Takes some getting used to. Due to it's high copper content, it is supposed to delay or reverse the onset of grey hair. Almost certainly an old wives tale!! Sugar Cane that is not fully ripe is often processed with sulphur to assist with the crushing process. Some residue may remain in the product and end up being concentrated in the molasses. Good idea to choose only Blackstrap Molasses that clearly states 'unsulphured' on the label. Make sure to choose unsulphered Blackstrap Molasses, it is by far the best grade. Moderation is essential, it should be used to replace sugar in the diet, not in addition to it. Not suitable for diabetics. It has health benefits but is essentially a refined sugar, and should be treated as such. Very high in iron and other minerals. Helpful for anemia.